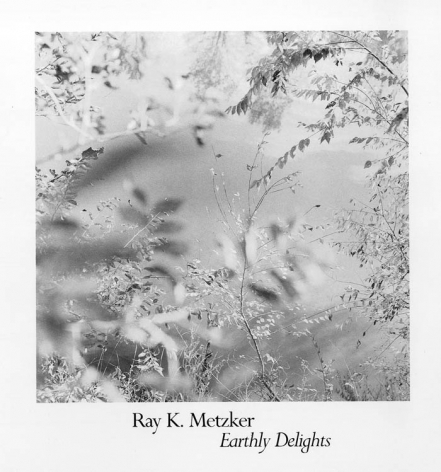 Ray Metzker - The Shape of Light presents a concise group of ten pictures from across five decades of Metzker’s remarkable career. From seeing his darkroom experiments alongside his singular street photographs it becomes clear that his core subject was always light itself. In the earliest picture from 1957 we see the illuminated marquee of Chicago’s RKO Grand Theater refracted like a constellation of man-made stars via multiple exposures. A similar image is created with a straight photograph nearly a decade later in Atlantic City as he captures splinters of light cascading across the darkened walkway beneath the boardwalk. In Philadelphia Metzker trains his camera on the dramatic shafts of urban light that render shadows as solidly as slabs of black marble. Consistently throughout all of the work fleeting moments of light and shade are masterfully rendered as the form and subject of Metzker’s pictures. This selection of prints distills that essence, showing the wellspring that Metzker returned to time and time again – the shape of light. 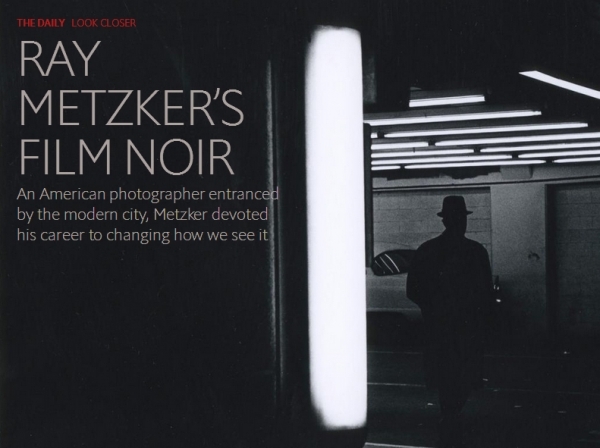 Six of Metzker's street photography abastractions, from his classic 1957-1966 period, are given an in depth look. The Museum of Modern Art has reinstalled its fourth-floor collection galleries with works exclusively from the 1960s. Interweaving works from all of MoMA’s curatorial departments the galleries proceed chronologically, with work installed by year. Among the works featured from 1966 is Ray Metzker's photographic composite Trolley Stop. Other featured artists include Richard Tuttle, Agnes Martin, Sigmar Polke, Vija Celmins, and Joseph Beuys. Ray K. Metzker, a modernist photographer who called himself “an intellectual wanderer” and proved it over six decades of audacious experiment — he sometimes overlapped exposures to make a single picture from a roll of film — died in Philadelphia at age 83. Laurence Miller Gallery is committed to making its website accessible to all people, including individuals with disabilities. We are in the process of making sure our website, www.laurencemillergallery.com, complies with best practices and standards as defined by Section 508 of the U.S. Rehabilitation Act and Level AA of the World Wide Web Consortium (W3C) Web Content Accessibility Guidelines 2.0.